Hello friends, Today I will share 10 best eBook reader app for Android. All these apps are free, and you can read premium books. You can even download this eBook on your phone and later read your book offline. Yes! You can even read eBook offline using these amazing apps. Just type the name of your favorite book and start reading on your Smartphone. 1 What is a Good App to Download Free Books? 2 Is there an App to Read Books for Free? What is a Good App to Download Free Books? Almost all apps are useful to download books. Users can download or read their favorite book on these Android apps. We have shared 10 apps which are considered to best for reading or downloading eBook directly on your Smartphone. Users can read the article and find their best app to download books for free. We have analyzed every app on their pros and cons. Is there an App to Read Books for Free? Yes, there is an app to read books for free. You can read almost all types of books using these apps. All these apps are free and allow users to read a book. Users can search for their favorite book on these apps and start reading a book. The list of top 10 best eBook reader app for Android which you are reading currently is all about the same as your asked question. You can even read our article on the best book websites for free. If you want to know how to read books offline for free, then it is very simple. You have to select an app from the list of the top 10 best eBook reader app for Android. Once you have chosen it, then do install it on your Android phone. And after that, you have to click on the download button or read the offline button within the app. That’s it, this is the only thing which you have to do. Isn’t it’s simple? In this segment of the article, I have listed the top 10 best eBook reader app for Android. All these mentioned books apps are free of cost if you look reading books. However, if you would like to get some extra stuff along with the book reading then for that you have to invest some money for that. But, I have to say that these books are reading apps provides too good quality of books on the apps. So, what are you waiting for? If you love reading books, then you must check this list. Amazon Kindle is the best eBook reader app among all the available books reading app that are available on the Google Play Store. This app is available for free of cost for the users who want to read books using Amazon Kindle. Not even it provides you to read books only, but also gives you more facilities such as download, syn, read later, buy books, and many more features. However, there is a thing which is necessary if you want to use this app and that is an Amazon account only. You can also check the comparison on Kindle Fire vs iPad. Google Play Books is a book reading service that is offered by Google Inc. In many of the Android phones, this app comes as a pre-installed Android app. But, if you don’t have it, then you can download it for free from Google Play Store. It has over 4 million books to read, buy, or rent. This best eBook reader app also supports sync feature, font, reading modes, text to speech settings, notes, and many more features. If you want to buy a book, then you can do so using a credit card or debit card both. Moon+ Reader Pro is the best eBook reader app that has ads free feature so that the reader will keep reading the book without interruptions. It is available for free on Google Play Store but has in-app purchases if you want to enjoy full feature of it. This app has tons of options to make your reading experience better and enjoyable. A reader can shake the phone to use text to speech engine. This Android app also has a backup feature so that you can take a backup to your Dropbox or Google Drive account. Mantano Ebook Reader is the best eBook reader app that supports thousands of free and paid both kinds of books. A reader can sync the library across multiple devices. Not even that but also you can customize the reading settings, save as well as sync using the cloud service. You can also browse a file using any file manager and can create, save and sync notes as well. This Android app also supports text to speech feature too. Kobo is another ebook reading app that has over 3.5 million free and paid ebooks, comics, magazines, etc. You can sync your notes and bookmarks also across multiple devices. Not only that besides it, but you can also add books from web, email or Dropbox account to post it as an activity on your Facebook account. Like other apps, there are tons of settings available to customize your reading experience. Cool Reader is an ebook reader app that has many of the ebooks formats with the most popular epub format. This app is available to you for free downloading at the Google Play Store. It has many awesome inbuilt features such as file browser, text to speech support, dictionaries, and fonts. Not even this but you can also bookmark a page, search content, customize settings, night mode as well. You will also get the online catalog support too. Nook has a collection of over 2 millions of books from various categories such as comic, magazine and more. A reader can take help of the customization to read the books from Nook according to it to get a better experience. Also, you can sync your bookmarks, last page, and notes across multiple devices as well as platforms. For fewer eyesight readers it also supports talk back and magnification support as well. You can get it from Google Play for free of cost. Wattapad allows you to read as well as has a collection of 20 million free ebooks and stories. 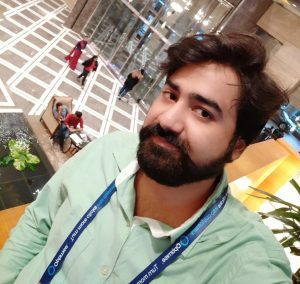 You will get awesome feature such as connect with your writers, chat with other readers, sync the library with other devices. The best part is that you can write an ebook using this app also so that other readers can read your ideas online from your phone. The app comes for free and is available on the Google Play Store to download it. FBReader is the best ebook reader app because it has the most popular ebook formats such as epub, mobi, fb2, etc. A reader can easily customize his or her reading experience using the tons of settings that are available. Not even this but this app also has a browser and downloader for network catalogs. It also supports external directories as well. This Android app is available on Google Play Store for free so that you don’t have to pay anything. 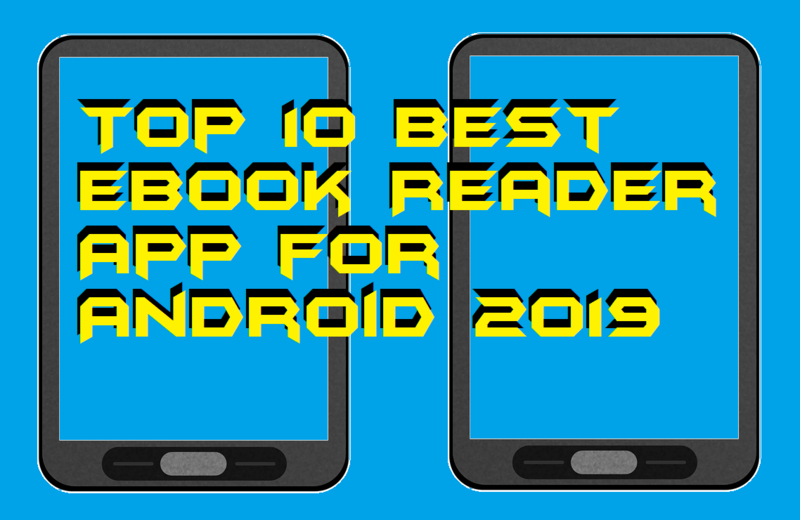 We have the list of top 10 best eBook reader app for Android of the year 2019. There are more books similar to that which you can use to read books online for free as well as download them to read later. However, these apps or you may call famous book reading apps are very good if you want to read quality books. Not even that but also you will be able to get premium services also if you would like to take if by paying some penny. I hope you have enjoyed the article. Share this with your friends or family member who is a book lover.